5 out of 5 rating. See my tub demo and rrview video below. You wont believe your eyes! 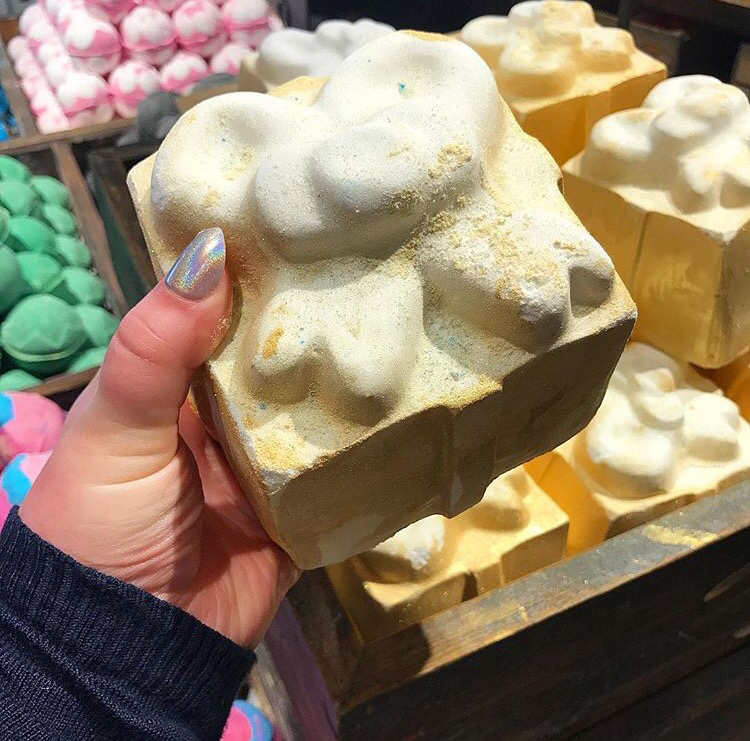 A Lush ‘Golden Wonder’ bath bomb in an extra large size! Here’s a photo i took of the regular size next to it for comparison sake. 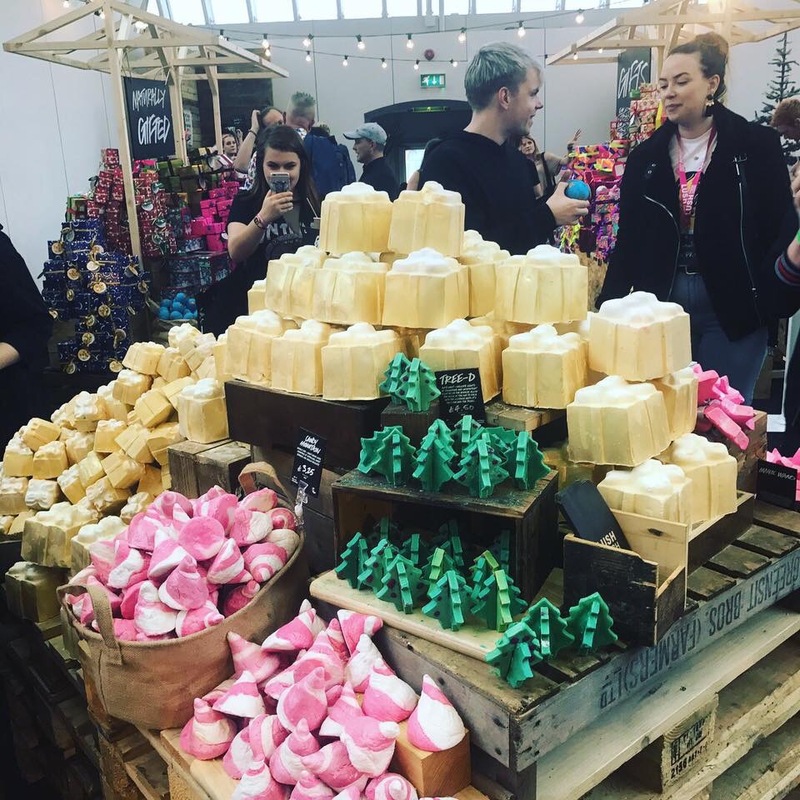 This has a citrussy scent, like fizzy grapefruit soda and champagne. It’s made in a champagne snow showers/Celebrate/Christmas Party/Supernova/Christmas Morning /Bubbly/Buck’s Fizz kind of blend. Its made with grapefruit, cognac, orange oil, and grape juice. 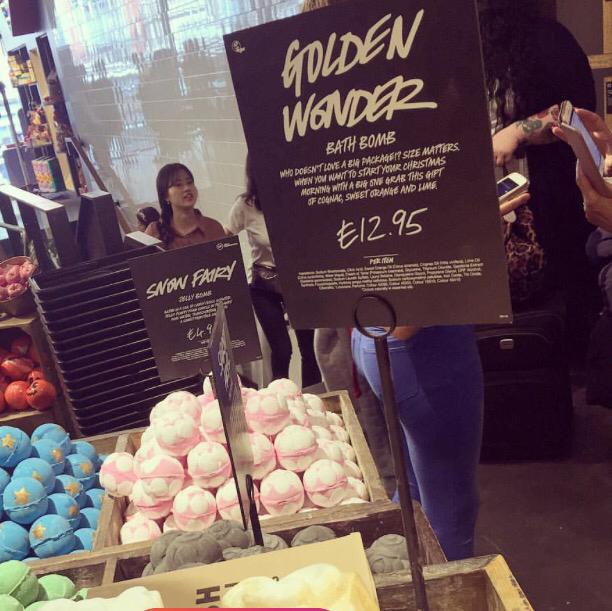 Posted on November 20, 2017 by Lushalot	• This entry was posted in Bath Bombs, Christmas 2017, Uncategorized and tagged celebrate scent family, Christmas 2017, golden wonder xxl, lush giant present Christmas bath bomb. Bookmark the permalink.